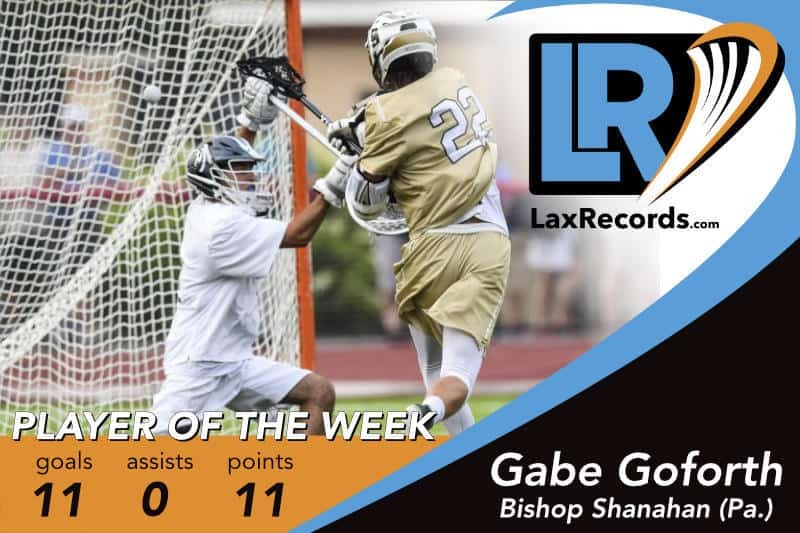 Gabe Goforth from Bishop Shanahan (Pa.) earns LaxRecords.com's Player of the Week for June 11, 2018. Goforth had an impressive final two games of the season to lead the way for Bishop Shanahan’s first PIAA championship. 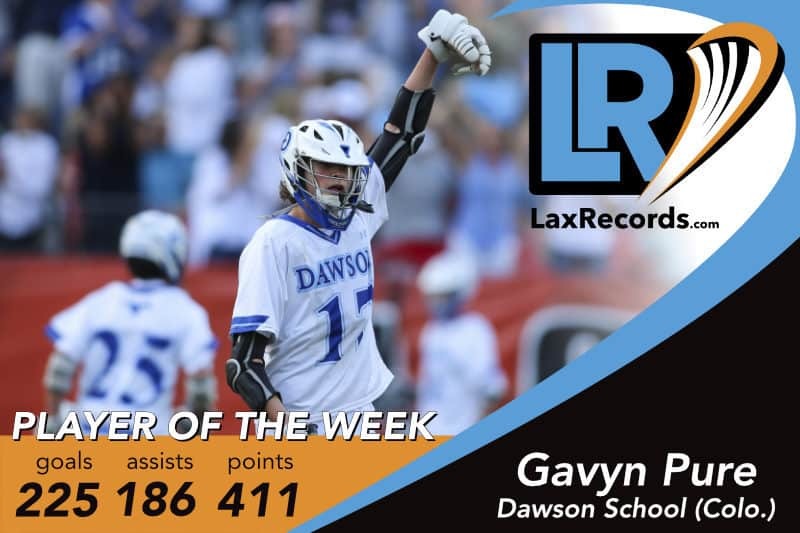 In the state semifinals, the sophomore scored seven goals in the 17-5 win over York Catholic (Pa.). 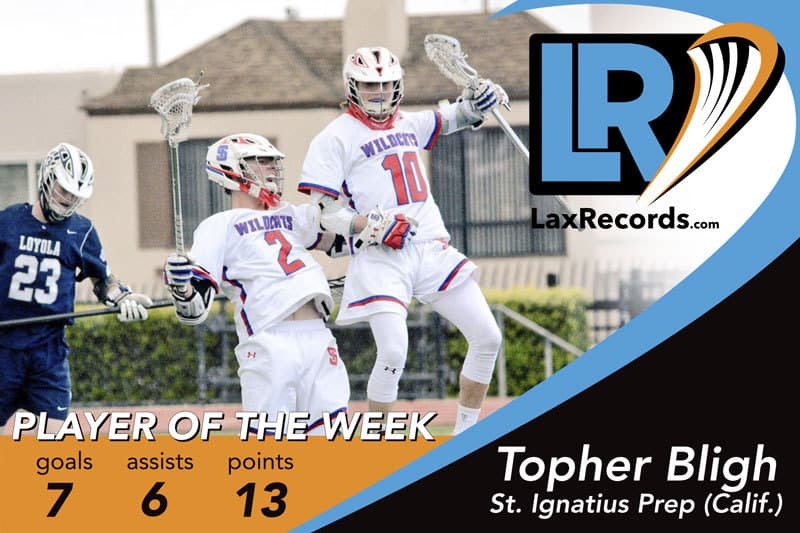 He scored four-straight goals in the first quarter to help Bishop Shanahan to an 8-1 lead. 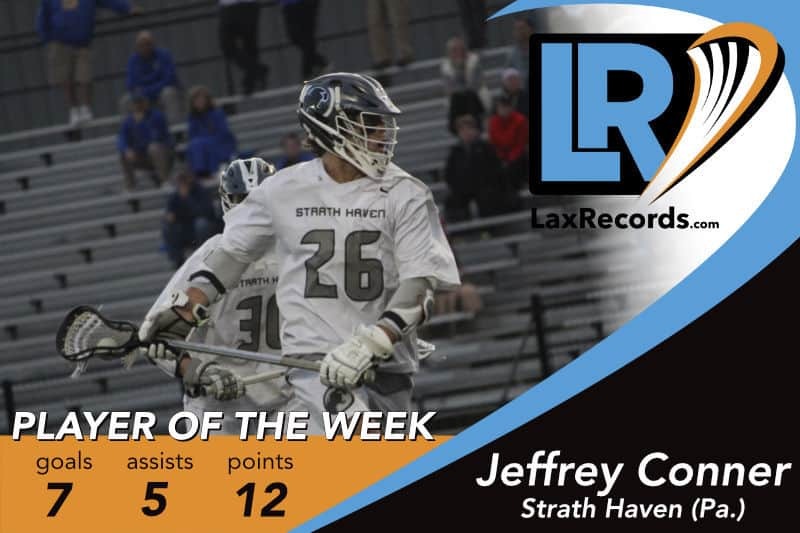 Not done yet, Goforth scored four goals in the PIAA Class AA championship game to help Bishop Shanahan to a 13-5 win over Strath Haven (Pa.). 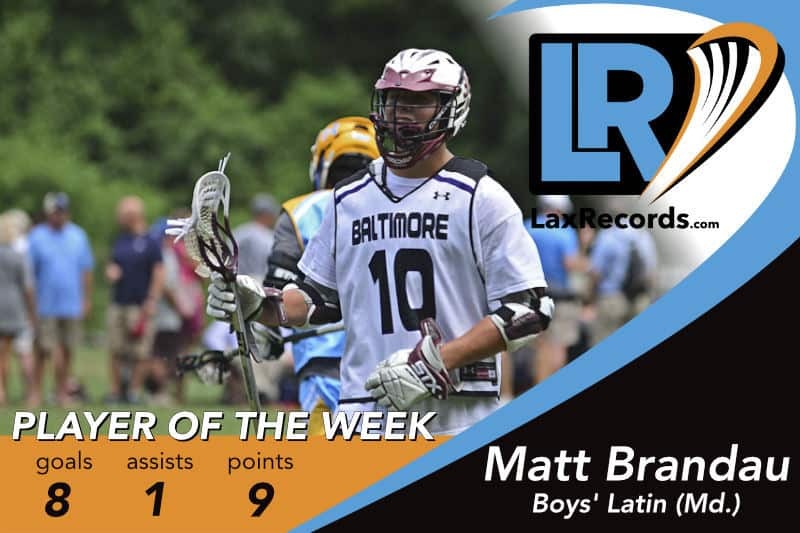 The Maryland commit helped his team win its final 19 games to cap the season with the longest, active winning streak in Pennsylvania. 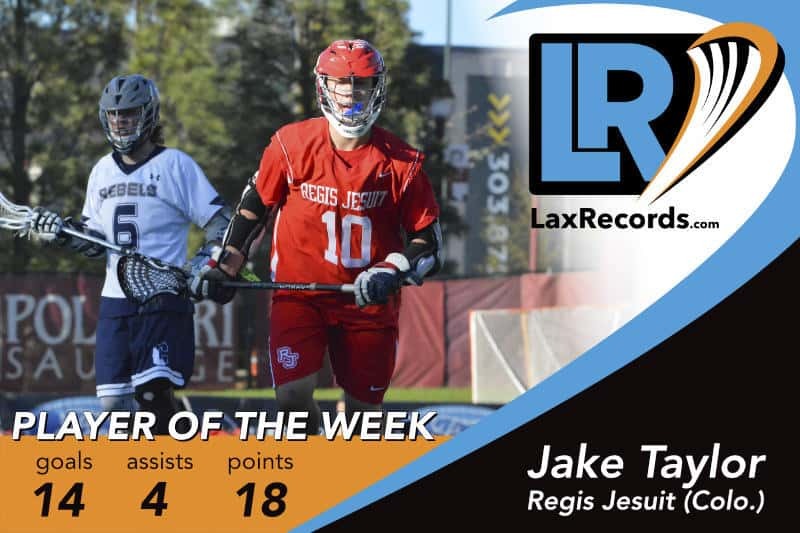 The junior saved one of his best games of the season for the last - scoring the game-winning goal with 1.2 seconds remaining to defeat Victor (N.Y.) 7-6 and claim the New York Class B championship. According to the Newsday’s profile, Basile scored 20 goals on the season and the championship game was only the second time he scored more than two in a game. Mike Bienkowski from Islip (N.Y.). Photo by Casey Vock. Bienkowski scored six goals and one assist as Islip defeated Westhill (N.Y.) 9-3 for the NYSPHSAA Class C title. He scored four goals in the first half to help his team to a 4-2 halftime lead. 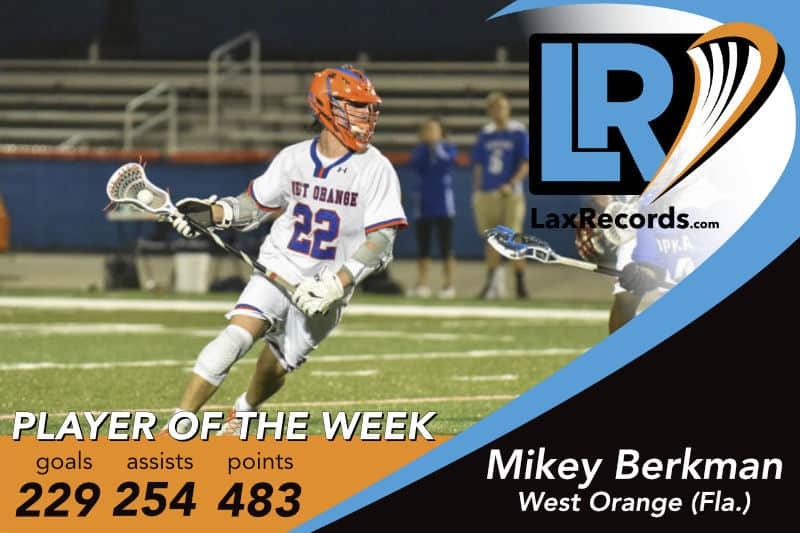 The senior scored five points in the state semifinals against Pelham Memorial (N.Y.) and finished the year with 75 points on 49 goals and 26 assists. 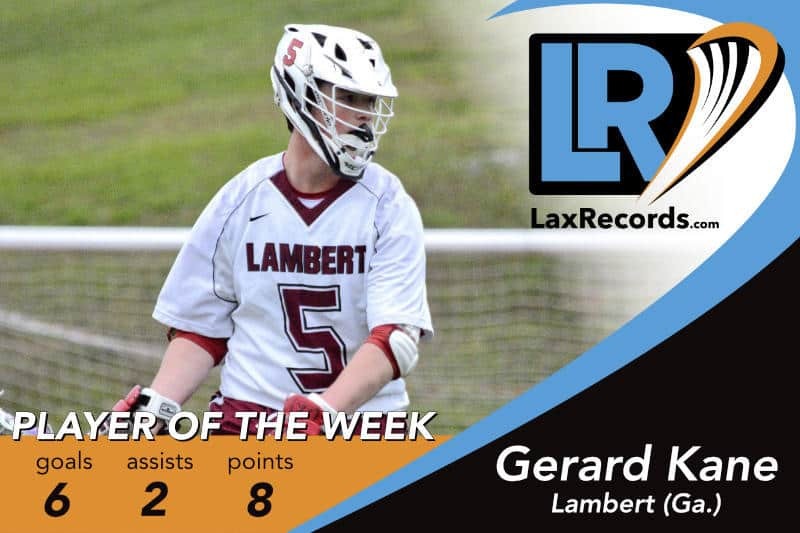 Carpenter led the scoring with four goals as Ridgefield defeated Darien (Conn.) 9-8 in the Class L championship game. 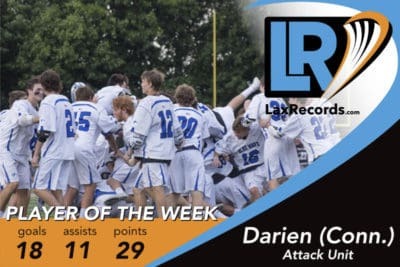 The win snapped Darien’s 76-game winning streak. 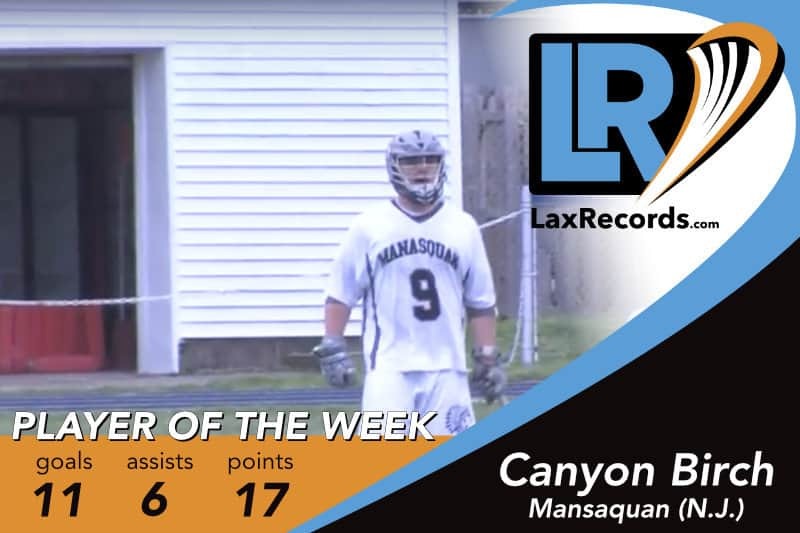 The junior scored nine points as Stone Bridge defeated defending Class 5 champion Patrick Henry (Va.) last week. 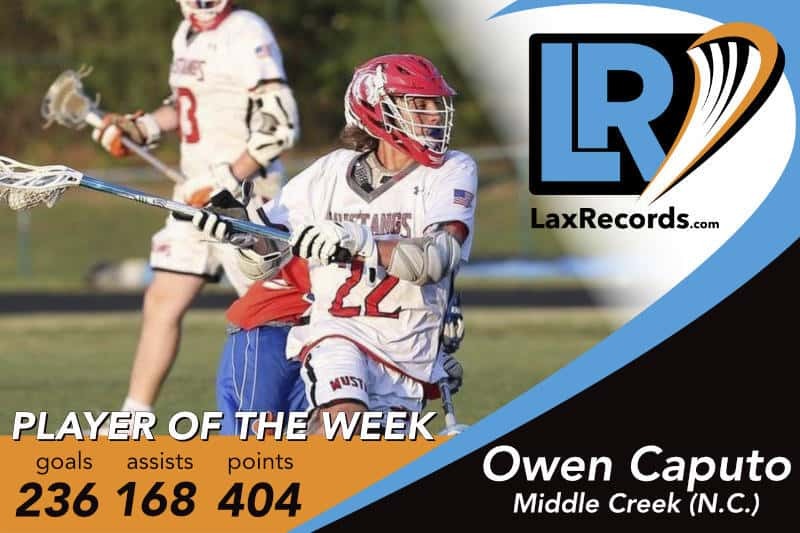 Cole had five assists and four goals in the 15-9 win over the semifinals. 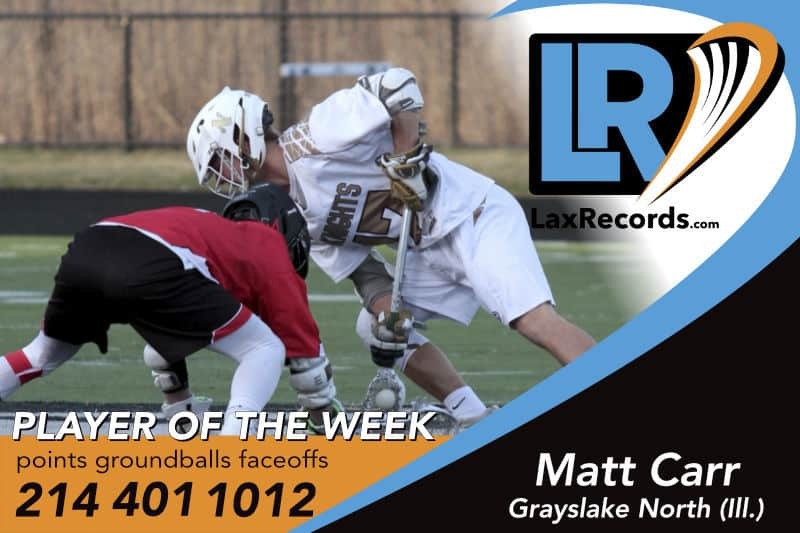 Cole led the way for Oakton with six goals to help his team to an 11-10 win over Robinson (Va.) in the Virginia Class 6 championship game. 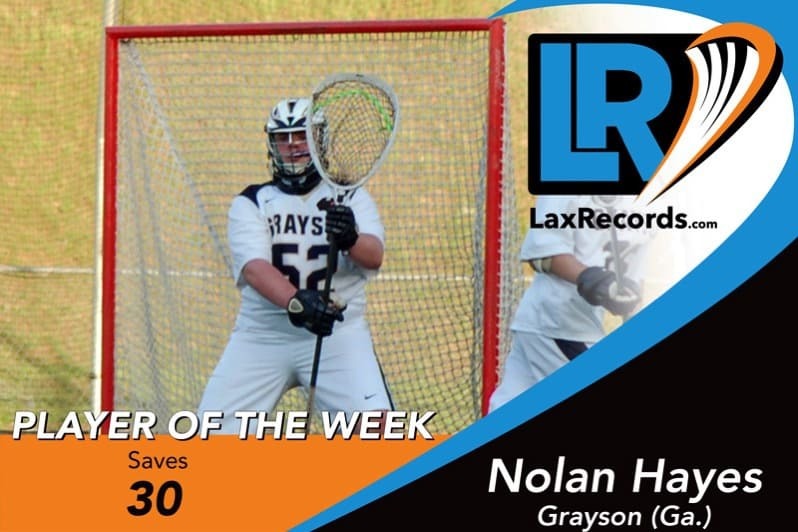 The sophomore finished the year with more than 60 goals. 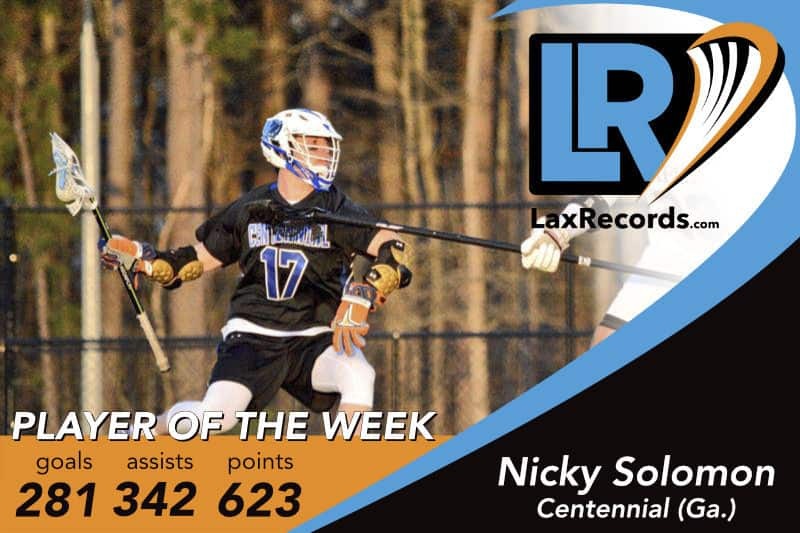 The attackman scored six goals and two assists as South Portland defeated Bonny Eagle (Maine) 15-1 in the Class A South quarterfinal meeting. Grillo scored four goals and an assist to help the Patriots to back-to-back Class A titles. The senior help Melville to a 15-2 win over West Genesee (N.Y.) to claim their second consecutive championship. 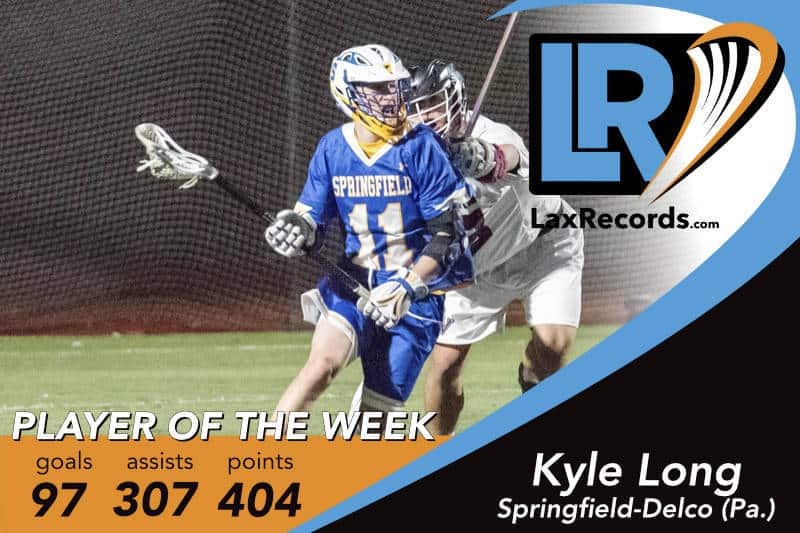 He scored five goals and one assist in the semifinal victory over Niskayuna (N.Y.). 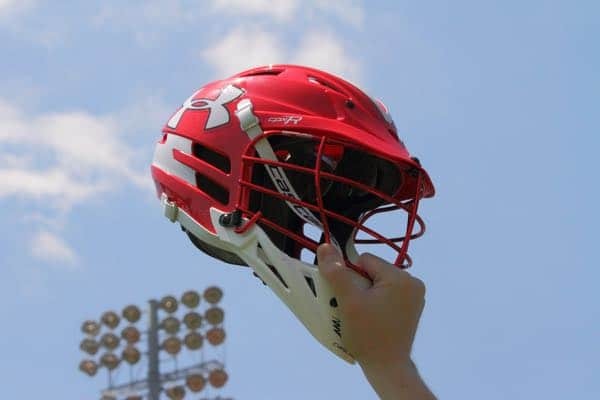 The Providence commit finished the year with 70 goals and 16 assists. The goalie made nine saves as the Blue Streaks defeated La Salle College (Pa.) 6-4 in the PIAA Class 3A championship game. Manheim Township became the first team outside of the Philadelphia region to win a PIAA title. Joey Kamish from Detroit Catholic Central (Mich.). 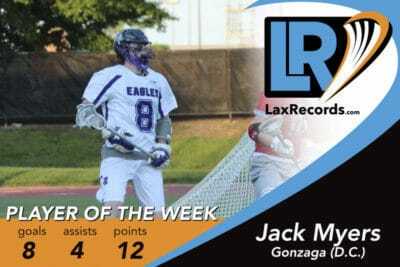 Kamish scored five goals and added two assists as the Shamrocks defeated Brother Rice 11-10 for its first state championship. Kamish scored to bring DCC within one goal then scored the game-tying goal. He had the assist on the game-winner by Ethan Pattinson.